As the idea of outdoor early childhood programs gains ground, Fiddleheads Forest School has been the recipient of increased media attention from across the country. 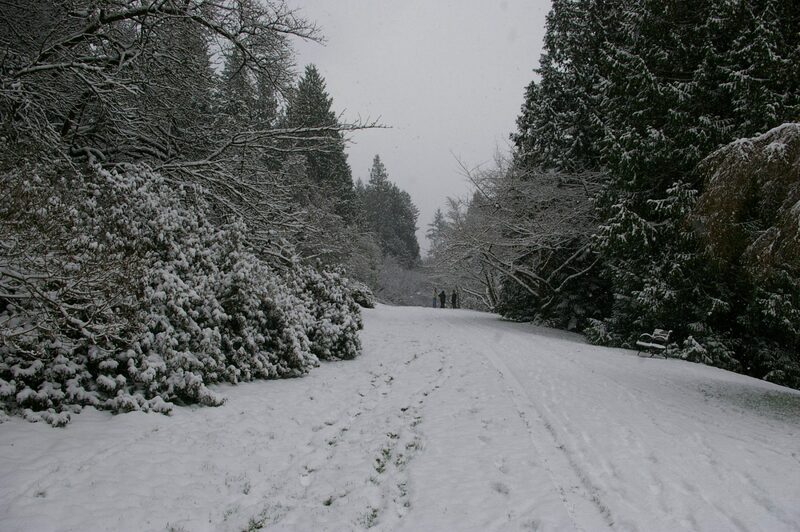 We are so glad that, from our small school in the University of Washington Botanic Garden, we are able to contribute to a wider conversation about learning in nature, and the nature of learning. However, the media’s perspective is inevitably limited; a reporter visits for a day or two at most, which may allow them to describe the general gestalt of our program and the excitement around this trend, but misses the meaning and impact of this kind of experience over time. Who doesn’t love spring? It’s the earth’s bright green answer to winter’s dreary grey; when all the world begins to grow anew. 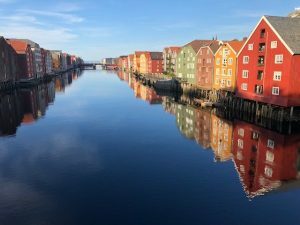 If autumn is a time for introductions and winter for exploration, then spring is the season for culmination. In autumn we ground the students in the important, fundamental lessons of the forest grove: clearly identifying the boundaries (both figurative and literal) of the classroom; teaching an awareness of self, social expectations, and emotional responses; guiding newfound interest in the natural world. 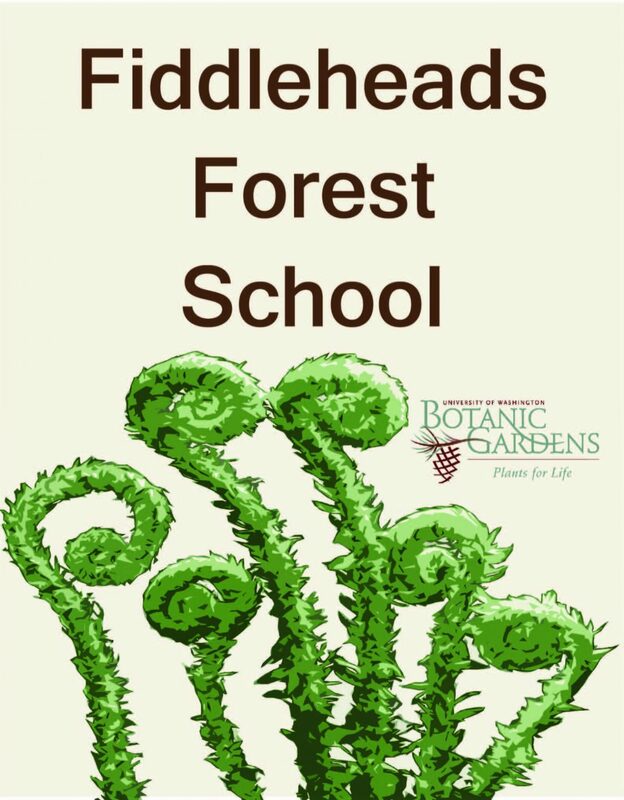 Exciting News at Fiddleheads Forest School! Listening and responding to the needs of our community is a cornerstone of the Fiddleheads philosophy. Sarah and I were absolutely astounded this year at the outpouring of interest our tiny school received. As word of the Fiddleheads Forest School spread, parents from all over the region took notice of the individualized attention we give to each child, our unique curriculum that thoughtfully integrates the specialized opportunities afforded by the environment to each student, and our remarkable forest grove classroom site where students develop a deep, mindful connection to their environment and to their peers. Reflections on the essence of Fiddleheads and experiential, nature-based learning. Most have us have been stung by a wasp or bee at some point in our lives, and many of us have an innate fear of flying insects with stingers. Personally, I was stung almost every year of my life between about the ages of 5 and 18. It never swayed me from spending all my free time outside, but I did cower at the familiar buzzing sound of nearby wasps. What is it about the autumn that generates so much nostalgia? A season evoking such emotion somehow always manages to pass in a blur. It marks the end of lackadaisical afternoons and the start of the annual decent into the cooler, more introspective months. The way I see it, fall is the natural steward of the New Year. We begin afresh: in school, in season, in time. The outdoor preschool at the Washington Park Arboretum aims to counteract "nature deficit disorder."